IRS tax audit triggers are the secrets that we all want to know. Let’s face it, nobody wants to get a letter from the IRS announcing that they will be auditing your return. Even if everything is in order, it is a time consuming nightmare. According to the IRS’s annual data book, they examine about 1% of all individual income tax returns a year. With the emphasis on taking money from the wealthy, the IRS tries to concentrate their audits on individuals with income tax returns reporting higher adjusted gross incomes. If you think you escape that trigger, beware. The rich weren’t the only targets last year. Those with lower incomes that make them eligible for government programs such as the earned income tax credit, or EITC, first-time home buyer credit, and small business owners also faced added scrutiny. The sad truth is that no matter what your income is, you can be vulnerable for an audit. So what can you do to avoid IRS tax audit triggers? You may have heard that handwriting your return or filing late will help avoid IRS tax audit triggers. This is not true. The IRS audits any return that they think they can make money on. The truth is that people who hand write their returns generally have math errors and so they are an easy IRS target. Folks who file late are generally disorganized and can’t prove their deductions, making them easy prey. The first thing to do to avoid IRS tax audit triggers is to keep a low profile. Don’t stand out; make certain your tax deductions and credits are in line with the rest of the crowd. While the IRS doesn’t reveal how they choose people for an audit, they do admit they have a computer-scoring system known as Discriminant Information Function or DIF. The DIF evaluates tax returns based on certain IRS formulas. This means the IRS knows how much similarly situated folks have in basic deductions, credits and exemptions. If your return is radically different from others in your situation, that is one of the IRS tax audit triggers. The IRS examiners will then examine your return to spot inconsistencies, and look for reasons to audit, such as a high mortgage interest deductions and low income. So what are some of the things you can do? The list below shows some of the major triggers. • Showing more income than others in your profession. 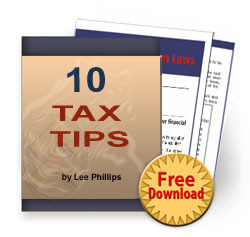 • Not reporting income shown on W-2’s 1099’s and K1’s. 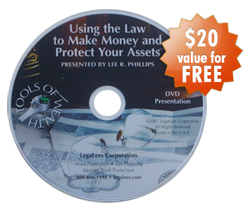 • Home-based businesses, especially those who have NOT elected S-Corp or Partnership status. • Large travel, business meal and entertainment deductions. • Large Business or Casualty Losses. • Earned Income Tax Credit. It is also true that your tax return could be flagged and you may not be audited. The bottom line is that you should be careful when filing your return and in keeping records to back up your deduction. But, you should not let fear of an audit keep you from filing for legitimate tax credits or deductions. For other proven tax saving strategies, check this out.